“Wastelands Become Cotton Fields” was just one of the catchy captions that the U.S. importer—Pabatco of Athena, Oregon—used to promote the English-built Cotton Cobras in the mid-1960s. This was the same Pabatco that would later achieve fame for designing the ubiquitous Hodaka. Cotton was founded in 1918 by Frank Willoughby Cotton and produced a street motorcycle that at the time was unique for its patented triangulated, steel tube frame. But it wasn’t until 1961, after Cotton had gone through several ownerships, that it entered the scrambles market. 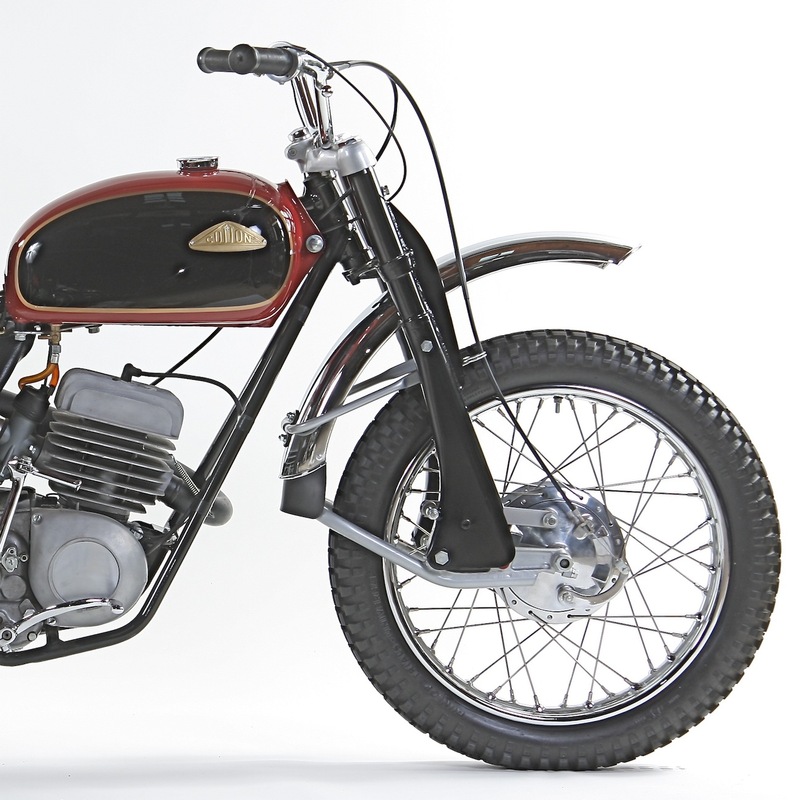 The 1961 Cotton Cougar Scrambler was raced by British greats Bryan “Badger” Goss and John Draper. 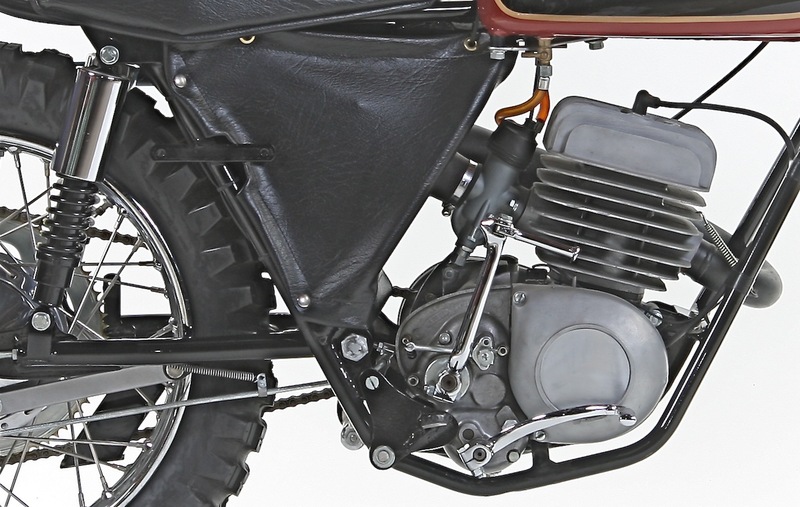 Though the Cottons were similar in many ways to Greeves and DOT motorcycles, several features quickly distinguished the Cotton Cougar Scrambler. For one, the Villiers engines were set back and down in the frame and used the lightest tubing available. Match this with the beefy Armstrong leading-link front fork and you had a very different, if not ugly, motorcycle. Keeping the main weight over the rear wheel and the center of gravity low worked well, though riding a Cotton was an acquired taste. These were low-ground-clearance wheelie machines that needed to be ridden solely on the rear wheel. The models imported to America came with a 19-inch front wheel and an 18-inch rear wheel (with Metal Profile hubs). The powerplant was a standard-issue Villiers Starmaker engine with a claimed horsepower output of 26 at 6000 rpm and a four-speed gearbox. 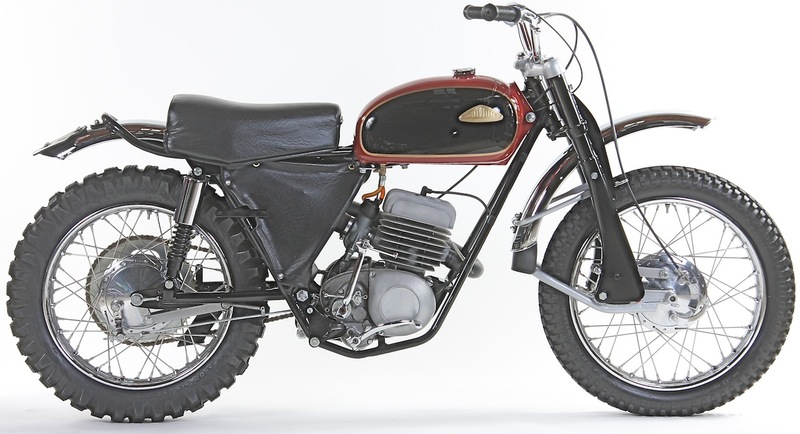 The rear shocks were by Girling, the fenders were chromed steel, and the standard fuel tank was a two-gallon steel tank, but a one-gallon fiberglass version was available for motocross. Cotton’s best hope for motocross stardom came when they signed BSA factory rider Arthur Lampkin in 1964. Lampkin raced a few races on the Cotton, but he wasn’t impressed and returned to BSA to finish his career. Cotton sales never took off in America, and the company closed down in 1980. Suggested retail was $575 in 1965. There are very few Cottons in the U.S. because riders never embraced the brand. Collectors and AHRMA racers still don’t to this day! This Early Years of Motocross Museum example has about $7000 invested in it and is worth half of that. 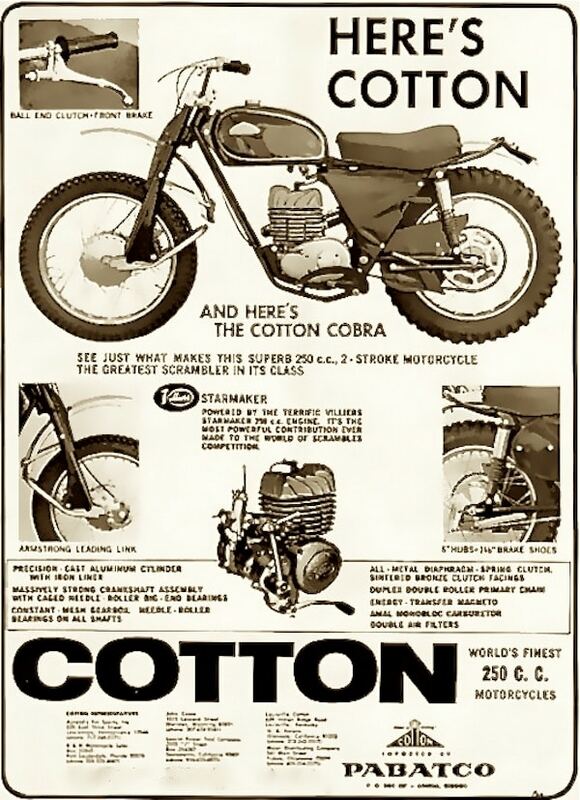 The dirt versions of the Cotton were the Cotton 250 Cougar, Cotton 250 Cobra (equipped with lights) and Cotton Trials Special. A good collector bike needs the beefy Armstrong leading-link forks and original steel tank (or optional fiberglass tank). Check for the Amal Monobloc carb, Girling shocks and Metal Profile hubs. If it has the original chrome pipe and chain guard, contact the Early Years of Motocross Museum. Our featured bike is missing these valuable original parts. Parts are almost impossible to find in the U.S., but Nick Brown of AJS Motorcycles Ltd. owns the Cotton trademark. Up until 2000, they made Cotton Cobra replicas. Nick can be reached at [email protected].